He was a rock ‘n’ roll poet and now a prominent member of the infamous “27 Club”. Due to his songwriting talents, baritone voice and wild personality, he is regarded by critics and fans alike as one of the most iconic and influential frontmen in rock music history. Our Jimbo skull ring proved to be the most difficult to reverse sculpt (facial reconstruction), using over 50 photos and police mug shots, we were inspired by his Scottish, Irish and English heritage which results in a thin nasal aperture, deep set eyes, and a prominent brow line. Owing to his strong jawline and distinctive chin, Jimbo is the only skull in the Dead Ringers collection with the lower mandible present. Swarovski zirconia eyes. Swarovski zirconia is a created stone and is the most perfect simulated diamond in the world. Our emeralds, sapphires and rubies are lab-grown and have the same chemical compound as natural, gemstones mined from the earth. Purity is 99.99%. Custom engraved sterling silver and 10kt solid gold nameplates will allow for up to 6 characters of your choice. 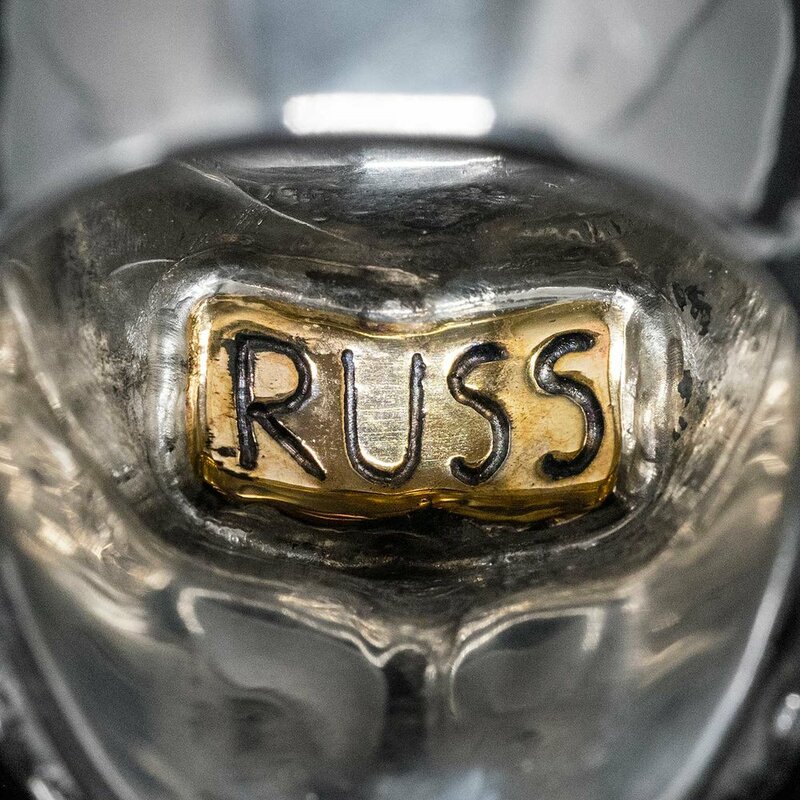 The nameplates are custom engraved and affixed to the inside of your ring. 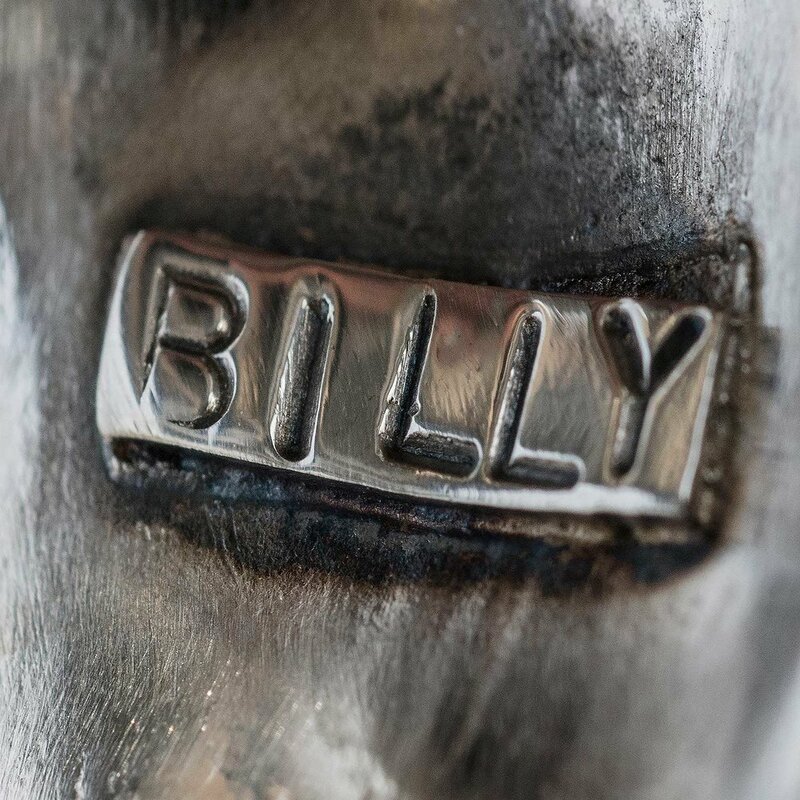 Custom nameplates are only available as an add-on with sterling silver ring orders. All of the pieces in the collection represent our artistic interpretation of what an individual’s skull may look like. None of the artists mentioned endorse our products. Pricing and Payment: All prices are in US Dollars and payments shall be made with PayPal or a major Credit Card. Once payment has cleared, your custom piece will be cast, finished and shipped. Ring Sizes: As all of our pieces are made to order, it is important that you provide us with your correct ring size. If you are unsure of your ring size please visit your local jeweler and ask to have your finger measured. Delivery Time: Once your payment has been cleared please allow about 14 days for your jewelry to be made. Upon dispatch we will email you with your tracking number. All pieces will be shipped via Canada Post insured and trackable; please refer to their website (CanadaPost.ca) for delivery times.